Every summer, Arbor Crest Wine Cellars combines live music and wonderful wines at their picturesque clifftop venue. 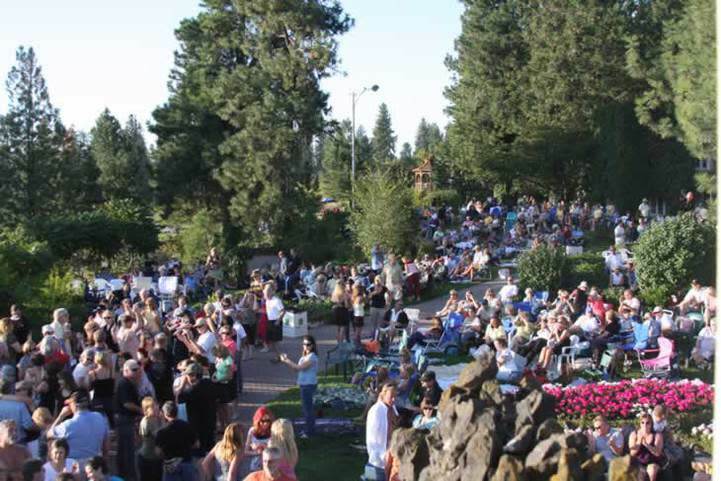 Check out their website for a full list of concert dates at http://www.arborcrest.com/winery-events/. Hours: We are open every day of the week from noon-5pm. Comments/Notes: Enjoy wine tasting in the Cliff House Tasting Room. Tour the historic Cliff House and stroll the grounds. Enjoy concerts on the cliff every Sunday with the winery's Summer Concert Series June-October. Description Arbor Crest provides an exceptional venue for all types and sizes of outdoor events from June through September. Our indoor facilities accommodate smaller groups of up to 60 people comfortably all year long. Come enjoy our spectacular views and great, award-winning wines.